Frizzy hair is something every woman loves to hate, and while there are many products that claim to help tame frizz and flyaways, the use of potentially harmful chemical additives is probably a good bet. If you've been searching for a healthier, much more natural way to condition your hair and tame those frizzies, Aubrey Organics may be able to help. 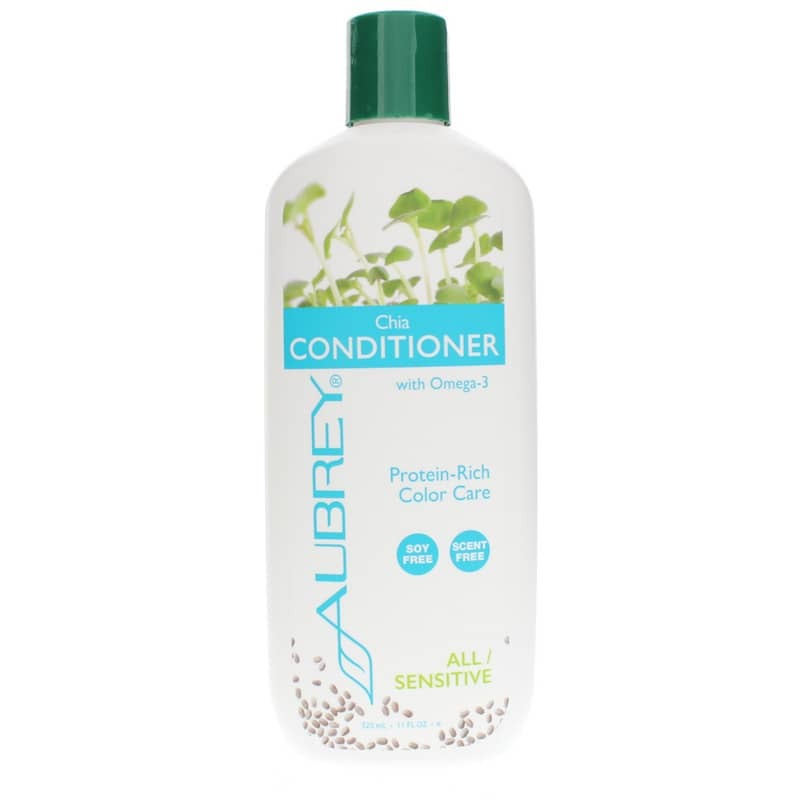 Chia Conditioner is a protein-infused conditioner that provides the care your hair needs to maintain manageability and shine--and you won't have to worry about frizz! Every bottle of Chia Conditioner from Aubrey Organics is made without the use of parabens, phthalates, fragrances, soy, silicone, or gluten. The formula is vegan and is never tested on animals. Nourish your hair while you take the flyaways for a beautifully sleek and healthy style. 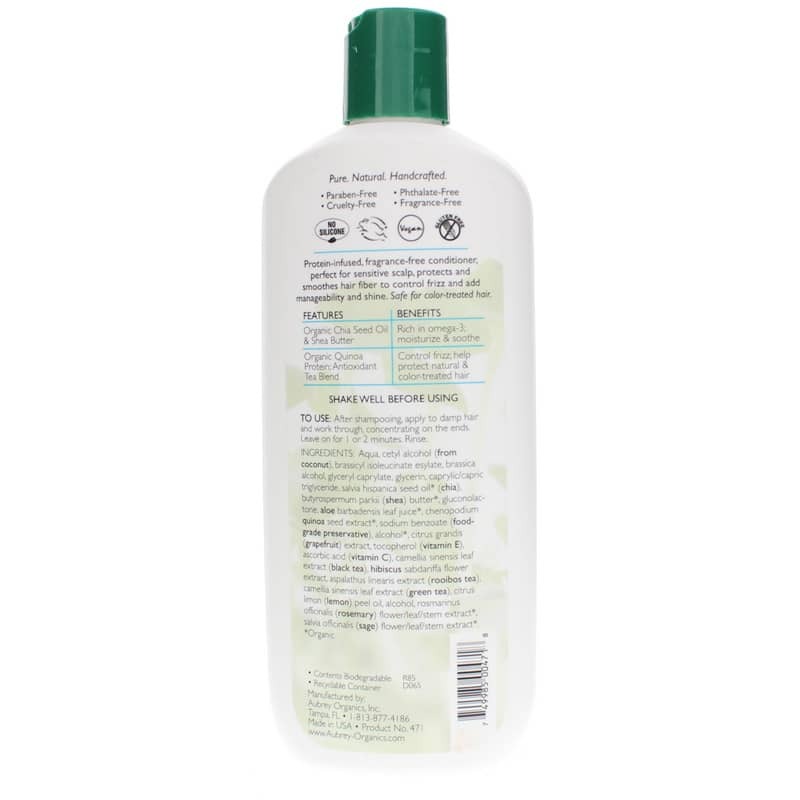 Give Chia Conditioner a try today, and see the difference it may be able to make in the appearance of your hair. Order now! Aqua, cetyl alcohol (from coconut), brassicyl isoleucinate esylate, brassica alcohol, glyceryl caprylate, glycerin, caprylic/capric triglyceride, salvia hispanica seed oil* (chia), butyrospermum parkii (shea) butter*, gluconolactone, aloe barbadensis leaf juice*, chenopodium quinoa seed extract*, sodium benzoate (food-grade preservative), alcohol*, citrus grandis (grapefruit) extract, tocopherol (vitamin E), ascorbic acid (vitamin C), camellia sinensis leaf extract (black tea), hibiscus sabdariffa flower extract, aspalathus linearis extract (rooibos tea), camellia sinensis leaf extract (green tea), citrus limon (lemon) peel oil, alcohol, rosmarinus officinalis (rosemary) flower/leaf/stem extract*, salvia officinalis (sage) flower/leaf/stem extract*. Contains NO: parabens, phthlates, fragrance, soy, silicone, gluten. Vegan. Cruelty-free. Shake well before using. After shampooing, apply to damp hair and work through, concentrating on the ends. Leave on for 1 or 2 minutes then rinse.